The Canadian Association of Certified Planning Technicians is governed by a Council, consisting of the Executive Committee and additional Council members, including student members, who meet periodically throughout the year to tend to the business of the Association. This is Kris Orsan’s second term as President. Kris is a graduate of Fanshawe College and currently holds the position of Urban Planning Technician with the City of Guelph. He also worked in the private sector for over 6 years where he provided a variety of technical design, drafting and graphical services for public and private sector clients. Projects include Land Budget Analysis, Aggregate Resource Act (ARA Site Plans, private sector site plans, subdivision design, condominium plans, various types of GIS analysis. Kris has been a member of CACPT since 2007 and has held various positions on council over the years including Vice President 2007-2008, and 2011-2014. 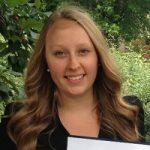 Lauren has been working in the planning field since graduating Fanshawe College’s GIS and Urban Planning program in 2013. This is her first year as Vice President for the CACPT. Currently Lauren is working as a Planning Technician with the Town of Caledon and has previously contributed to two private sector companies where she provided site plan drawings, phasing plans, map creation and data maintence. Lauren was actively involved in a block phasing plan for the Vaughan Metropolitan Centre. Her role at the Town of Caledon includes the review of development approval applications, assisting applicants through the approval process and providing Official Plan and Zoning By-law information to potential applicants at the Town. Outside of work, Lauren enjoys yoga and muay thai. 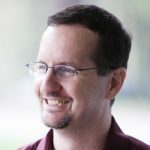 Brian Hutchison, CPT has 25 years of professional design & CAD experience working for private development & planning firms as well as having his own consulting business for over 15 years. Brian has been teaching for over 15 years in the GIS & Urban Planning program specializing in AutoCAD, subdivision design, and site planning. Brian holds a 3 year diploma in Urban Design from Fanshawe College. Brian is a full & Life member of the Canadian Association of Certified Planning Technicians. He served on the Executive board of the Association for a number of years including 2 years as President. He regularly hosts workshops on various topics at the association’s annual conference. 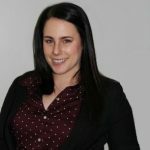 Ashley Kirec is currently working at a planning company in Toronto after recently graduating from Mohawk College Urban and Regional Planning Technician Program in Spring of 2015. Ashley has served as a student representative on CACPT council for the last two years before making the jump to Secretary this year. Before deciding on the path of becoming a planning technician, Ashley spent four years at McMaster where she received a Bachelor of Arts in Geography and a Minor in Environmental Science. She looks forward to the upcoming year with the Association as Secretary. Diane was the previous Executive Director with CACPT from 2002 to 2012, this was following her early retirement as a Planner with the Halton District School Board. She now serves as part of our Registration Committee and continuing adviser to the Association. Diane began her career as a Planning Technician in Haldimand Norfolk and then spent over 27 years in planning positions with the Halton School Board and the Wentworth Board. She is proud to be a charter member of CACPT. She also was a founding member and first chair of the Planning Committee of the Ontario Association of School Business Officials – OASBO. She is a Full member of OPPI. Over the years, Diane was involved with a number of committees and initiatives. These include: White Paper on the Planning Act for OASBO/Ministry of Education; Ontario Assessment Review/Advisory Committee; School Lot Levy Feasibility Group (resulting in Education Development Charges); Ontario Public School Boards Association rep on the Provincial Policy Statement Review; Ministry of Education Enrolment Projection Working Group; and Halton Data Management. She is a graduate of the Planning Program at Mohawk College and holds a BES from the University of Waterloo. George has been active in the planning industry for nearly twenty years. He is a past Council member, including Secretary-Treasurer and Conference Co-Chair. He has also mentored many members throughout his tenure with the Association and looks forward to continue serving Council in 2018. Cathy has been with CACPT since 2002 as our excellent Administrative Assistant. She deals with all financial matters of the association, correspondence (including those welcome job circs) and maintains the organization database plus other member information. She is an invaluable assistant to the Executive Director and Council. Cathy has registration of conferences down to an art.. She is married with three grown children and is a runner and walker and last year completed the “Round the Bay” Race in Hamilton. Stephen Morriss, a Full Member of the CACPT, started his background working in construction at a young age assisting with the installation of infrastructure, construction of new homes, renovations, irrigation and landscaping projects. 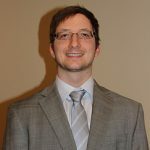 In 2013 Stephen graduated from the GIS and Urban Planning Program from Fanshawe College and immediately obtained a position as a Planning Technician with IBI Group in Waterloo. In his position at IBI Group, Stephen has been involved various projects including aggregate extraction planning in the Waterloo Region, large scale residential developments, Ontario Solar Farm candidacy evaluation and the design and renderings of the Rockmosa Park Master Plan in Rockwood, Ontario. He also provided GIS mapping and planning services for both the Cambridge and Waterloo Regional Transportation Master Plans. Currently Stephen is working as a Land Technician for Sifton Properties, which is a large land developer based out of London, Ontario. In his new role he oversees the construction of infrastructure for commercial, retail opportunities and new home subdivision developments for a variety of regions and municipalities across the province. This is his first year sitting on council as a counselor at large. In his spare time, Stephen enjoys playing and coaching ball hockey, playing competitive softball and spending time with his daughter. Danielle Beck is a Planning Technician with the Development Planning, Heritage and Design Section – East Team at the City of Hamilton. 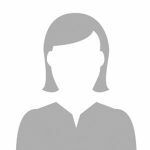 Danielle is currently a full member of the Canadian Association for Certified Planning Technicians and was past President. Previously Danielle has held the position as Vice- President (2010) and Acting Treasurer (2009), and chaired the 2013, 2011, 2010 Professional Development Conferences. Danielle’s responsibilities at the City include reviewing and processing development proposals and applications, commenting on Committee of Adjustment applications and assisting with and attending Ontario Municipal Board hearings. Additional projects she has worked on include the 2009, 2011 and 2013 City of Hamilton Urban Design and Architecture Awards and the initiation of the Downtown Built Heritage Inventory. In addition to being an active member on the CACPT Council, Danielle volunteers for a not for profile organization called Camp Oochigeas, a camp for children with pediatric cancer. James is a Certified Planning Technician through the CACPT and is currently the Senior Designer at T. Johns Consulting Group Ltd. 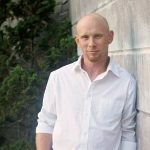 He has previous experience as a Part-Time Instructor at Mohawk College as well as a Planning Technician at Quartek Group Inc. 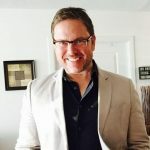 He has 9 years of experience designing and reviewing conceptual plans and technical drawings for Official Plan and Zoning By-law Amendments, Site Plan Approvals, and Committee of Adjustment applications. 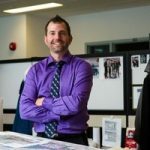 He gained Diplomas as an Architectural Technologist, as well as an Urban and Regional Planning Technician (GIS) from Mohawk College in Hamilton, Ontario. 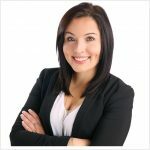 Aleshia Kwasny was born and raised in Thunder Bay, Ontario and graduated from Lakehead University with a Bachelor of Arts, Environmental Studies and Bachelor of Education. Aleshia continued her education at Mohawk College where she graduated from the Urban and Regional Planning Technician Program in 2015. After graduation, Aleshia accepted a job at the Town of Beaumont as the Planning Technician. Aleshia’s responsibilities at the Town of Beaumont include reviewing and processing subdivision and endorsement applications, attending and preparing reports for the Municipal Planning Commission, and assisting in the preparation of implementing a new Municipal Development Plan. She is continuing her education at the University of Alberta and working towards a certificate in Applied Land Use Planning. Aleshia is currently an Associate Member of the Canadian Association of Certified Planning Technicians, prior to serving as a student representative. 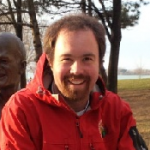 Justin Young, a full member of CACPT, was born and raised in Toronto, Ontario and graduated from Mohawk College’s Urban & Regional Planning Technician program in 2011. Justin has been fortunate enough to work in both the public and private sector within unique planning environments and regimes, in Toronto and Hamilton, Ontario as well as Edmonton, Alberta. Justin resides in Edmonton, Alberta where he continues to practice planning and design work with the Sustainable Development Department at the City of Edmonton. Benjamin Misener is the Planning & Development Manager for Brazeau County, Alberta. After graduating from the Land & Water Resources program with a major in Rural Land Use Planning at Olds College, Benjamin accepted a position as the Development Officer for Brazeau County. Shortly after starting, he took on the Manager position in an acting role, leading to accepting the position permanently in October 2013. Benjamin oversees subdivisions, rezoning and other planning issues in his current role. He continues to enroll in professional development opportunities, working towards finishing a certificate in Applied Land Use Planning from the University of Edmonton. 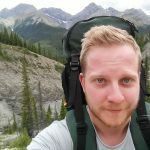 Outside of work, Benjamin enjoys camping, hunting and reading in his spare time and looks forward to continuing to represent CACPT in Alberta. 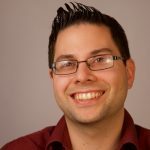 Daniel Boric, a Full Member of CACPT, was born and raised in Hamilton, Ontario and graduated from Mohawk College’s Urban & Regional Planning Technician program in 2010. Daniel then went on to Ryerson University’s Urban and Regional Planning Program, where he received his Undergraduate Degree. Daniel is currently a Candidate Member of the Canadian Institute of Planners and Alberta Professional Planners Institute. Daniel’s career started with IBI Group in the City of Kitchener and City of Hamilton. Daniel now resides in Edmonton, Alberta where he continues to practice his planning and design work with the Sustainable Development Department at the City of Edmonton.